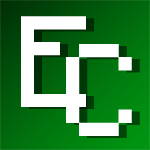 THE ECONICRAFT EXCHANGE – Administrator-ran central banking and merchant authority on the server. The following a proposed price guide that the Exchange shall follow with the intention of adjusting values of items to meet current demand and survey current inventory. All prices are in Econicraft Credits (₢, Cr.). I'm asking for your input to how fair these prices are, and whether or not they should be implemented. On that end, I'd also like to take a census of the bank accounts of each person to gauge inflation. You will see two prices: a sale price showing how much the Exchange would sell an item for; a buyback price showing how much the Exchange would purchase items from individuals. I've currently adjusted buyback prices to be 80% of the value of sale prices. There will be a third number there showing how much of that item the Exchange will have to sell. • To ensure that people do not overload the Exchange and drive inflation. For instance, this is designed to get money into the hands of users and not for the person who may have a chest full of gold to sell it all to the Exchange. • To gauge and control inflation, and provide a reasonable method by which the administration can properly adjust the price guide. To this end, I propose the Exchange have an account of ₢87,000. This would be based off the assumption that each person have a balance of 30 diamonds. This figure is based off the rough amount needed to create all diamond tools plus diamond armor pieces times the number of registered forum users (29). Additionally, the exchange should have a finite reserve of iron ingots. I propose this over diamond because that resource is worth too much to be of practical use. I suggest this instead of gold as well because gold has relatively little use outside of armor -- its tools are not practical (though, as a rarer resource, it'll continue to have a greater value than iron). To match the Exchange's account of ₢87,000, I believe it should be authorized to sell 12,500 iron ingots at a price adjusted on a per diem basis when needed. Iron ingots: This finite amount of money for the Exchange is basically how much additional money outside private accounts that Econicraft would have in its total market. Because of that, we should be very careful in giving the Exchange more money to work with. To earn money back and to get the market stimulated, I believe that then selling iron ingots would be very useful. Not iron? : If the Exchange felt that it was in its best interest to swap its reserve-held resource, the rule should be that they may only transfer their value of iron for an equal value of whatever other resource desired (using the buyback price as reference). This'll provide flexibility in reserves whereas the Exchange can determine that another item might be more effective in its purpose. • Reset all privately-held accounts to a balance of ₢3000.00. This fits with the 30 diamonds assessment I showed above. This would also place everyone on an equal starting level, ensuring that: (1) inflation is being adjusted to a controlled level; (2) private users have capital from which they can invest in themselves or purchase goods from the Exchange. • The Exchange may only carry a finite number of items matching 100% above that ₢3000.00. For example, if coal is worth ₢4.00 per item, then the Exchange should have 1,500 coal on hand ((3000*2)/4). That's 23 total stacks of coal. The break-off point for limited quantities will be on items worth more than ₢3.00. That way, common items (dirt, stone, etc.) won't be limited. • The administration believes that it is best for the Exchange to buy new items (at the buyback price) from itself to keep a finite amount or swap one item's value for another (like how its done for a reserve). Whatever may be most appropriate for the item, inflation, and its value. The owner, Ender, may designate however he wants the Exchange to be ran (if at all). He may also hold executive authority in determining whether or not to grant the Exchange more money if needed above its ₢87,000+reserves. Ender may also designate opening and closing times for the Exchange if necessary. Of course, if he wishes, he may delegate that authority to anyone. Any idea of when this will all be implemented, other admins? Maybe we should try to organize a time frame or something, this is Econicraft after all, the economy shouldn't be left on the back burner. I have a lot of free time this weekend to help out. Kudos to you, Ben! This is some amazing policy work you have here and it seems to me that it could be very useful to the server. I can certainly tell, especially with the price chart, that the economic system you have outlined in your post is very well thought out and has the potential to keep the economy strong. After talking with the admins to get an idea of what they think about this new system, I would be able to provide you with whatever information/resources/people you would need to best implement all of this if the admins and I decide that it's best for the server. I also would create an "Economist" rank if you deem it necessary to give you the tools you may need to best govern the economy. There is certainly a lot to discuss when it comes to this and this will not be my last post on this thread but, for now, absolutely fantastic work! One problem I foresee with this is that it costs 50k to make a town currently. If the federal bank only has 87k, one person would have to control over half of the money on the server. Then, when they spend it, the money would just disappear. Although I think we don't need any more towns(err OI will once i finally set mine up), I think that this is something to consider. WE should either lower the price to make a town, or increase the money in the federal bank. Also, somehow the money needs to be able to get back into circulation. Perhaps the money spent could go into resource buying to fund new buildings either made by the mayor or the town's residents. Masterrobot wrote: One problem I foresee with this is that it costs 50k to make a town currently. If the federal bank only has 87k, one person would have to control over half of the money on the server. Then, when they spend it, the money would just disappear. Although I think we don't need any more towns(err OI will once i finally set mine up), I think that this is something to consider. WE should either lower the price to make a town, or increase the money in the federal bank. Also, somehow the money needs to be able to get back into circulation. Perhaps the money spent could go into resource buying to fund new buildings either made by the mayor or the town's residents. Well, the banking authority I'd expect to have very little say on how towns operate. Of course I think the threshold for establishing a town should be lowered, but I also think it's wise that we need to do more to vet mayors. Econicraft is becoming too fragmented with people expanding into many towns. Though, that's a different discussion for a different day. Endermanslayer66 wrote: Kudos to you, Ben! This is some amazing policy work you have here and it seems to me that it could be very useful to the server. I can certainly tell, especially with the price chart, that the economic system you have outlined in your post is very well thought out and has the potential to keep the economy strong. Moderator rank. Administrators may determine on a case-by-case basis what economists may have control over things like the iConomy plugin, access to Exchange accounts, creative mode permissions, and whatnot. I'd like to get a feel for how much stuff everyone has. This'll help immensely in determining relative prices, and how fair my ₢3000 amount is to reset all users to. From this I can reproach the price guide, adjust my math, and make it fairer. It would probably be best if the Exchange was in its own town-like autonomous area. Of course, I'd like to construct it to best fit with how the shopping will operate. Location-wise, it may be best to locate this just outside the spawn area, probably in that desert biome to the northwest (flat land, no weather problems). Filling chests according to the approved price guide, and opening the Exchange! Public input, a new census, administration approval -- I think that would be a simple, fair process to go about it. It is my understanding, based on a discussion Ender and I had, that the next project I would be doing is a skyscraper hotel. Nect to it, I could build a modern mall complex or skyscraper type thing. I was thinking, too, that will all of the towns on the server, that if each town wants to chip in their own outpost area, I could build them a unique skyscraper. This would help unify the server with an autonomous city made up of outposts of different cities back to back.This would serve as the perfect place to have such a shop area and a housing complex for people who are new to the server. Here are some screenshots of the Exchange building, approximately a quarter kilometer north of the spawn point. You can advertise on the "Exchange | EC" 'big wool board' for a ₢500 fee to the Exchange. We've creative a rich class. According to how many people are residents, we have 88 players in Econicraft. Not too bad! What is troubling is how our wealth is spread out. That's incredible. The top 20% of players on Econicraft control over half of the wealth. Almost sounds like the premise for an occupy movement. The average clearly demonstrates that we have a select few people who have extreme wealth versus those with relatively little wealth. Even then, this ~₢11,000 is way too high to set our economy off in the right direction. I'll bring this to vote in a couple days once everyone has had a chance to peer over this. I think this is a great idea and I'm glad that we have a date set because I was sweating a little bit. I agree tat the wealth should be distributed more evenly but I thought it was funny how you freaked out about 20% controlling 50% considering the real life distribution of wealth. Another point I would like to make is that once this is done, how are we going to keep the money distributed? I'm not proposing that we should give handouts but I am proposing that we should put in place some basic antitrust laws. On a semi related note, I mentioned earlier that towns cost money to build and maintain, but that money just kind of disappears once it's used, and i think that it should go into the server shop so that when people sell things to the admin shop, it will have actual money to give back, not just invisible money. Masterrobot wrote: IAnother point I would like to make is that once this is done, how are we going to keep the money distributed? I'm not proposing that we should give handouts but I am proposing that we should put in place some basic antitrust laws. The Exchange can use market forces to control the distribution of wealth. As I wrote above, the Exchange would hold only about 22% of all the wealth on the server. Likewise, the 88 residents of Econicraft will hold two-thirds of the wealth with town accounts rounding out the final 12%. • Adjusting the prices of the Exchange to influence the prices of private shops, thus changing the demand and distribution of certain kinds of items. • Creating a progressive tax rate on wealthier players -- if iConomy allows for that kind of setting. Masterrobot wrote: On a semi related note, I mentioned earlier that towns cost money to build and maintain, but that money just kind of disappears once it's used, and i think that it should go into the server shop so that when people sell things to the admin shop, it will have actual money to give back, not just invisible money. That can pose to be a problem, I understand. My only solution would be to reroute upkeep money to the adminshop account, however, I don't know if iConomy/Towny allows for that. If not, then the Exchange will have to play the part of subsidizer in paying for all the towns' upkeep. Though I'm not comfortable with that, the only alternative would be abolishing upkeep costs. • The Exchange opens March 1. Fireworks are planned! • All accounts, town and player, will be reset to ₢3,000. If you have money, spend it now. • Creative will be turned off no later than March 3. If you have any questions or concerns, please ask me. Hey Ben can you please make that last post a global announcement? People need to see this. Question! Will the money in the town bank disappear too? Well, we're going to discuss that, and you can open with any proposal that you may have. I know that MasterRobot and I have had a discussion regarding what a proper solution will be. To summarize, we believe that those wanting creative would need to meet certain requirements and require the approval of the General Congress. Here's the issue: with creative, we're creating a gigantic liability for economic stability. Why? Server authorities have virtually no way to prevent those in creative to item spawn for personal profit (or, on the behalf of somebody else). However, we have a dependency on creative to make Minecraft fun, and there are several on this server who are here to enjoy a community that embraces creative for projects. So, unless we come up with a tentative solution for creative in our new economic state, it'll be shut off for everyone (excluding administrators) no later than March 3rd. banasaur wrote: Question! Will the money in the town bank disappear too? If you're talking about money that towns have, then yes, it'll be reset. If you're talking about the town's bank components to the plugin, I don't think I'm able to see that money. When I evaluated the size of the economy, that ₢1 million figure was taken from town and player accounts. I guess the only way of me knowing is to gain access to the text file within the iConomy plugin that shows all accounts - private and public. Endermanslayer66 wrote: Hey Ben can you please make that last post a global announcement? People need to see this. Ha, despite being a moderator, I can't seem to sticky topics or make global announcements ... or I have no clue how. I'm not a genius with plugins and what not but is there some way that the economy can be 'stopped' for someone while they are on creative e.g. no money can be put into or taken out of their account, and is there a way admins can monitor the items sold to shops easily so one can instantly tell if someone had spawned items from creative e.g if they just sold 2 stacks of diamonds yet had not recently mined any. What would likely be best is to contract it just as an actual construction company would evaluate it: price of materials, real estate, and time spent on labor. There's no real model you have to follow, so it's whatever you guys determine is fair. Sminty10 wrote: I'm not a genius with plugins and what not but is there some way that the economy can be 'stopped' for someone while they are on creative e.g. no money can be put into or taken out of their account, and is there a way admins can monitor the items sold to shops easily so one can instantly tell if someone had spawned items from creative e.g if they just sold 2 stacks of diamonds yet had not recently mined any. It's a good idea, but it would be problematic to track and to implement. While probably not impossible, I'm adverse to any complex solution because I know over time we'll become lazy and not be as dedicated to making sure everything is in place every single time. One thing I am afraid about is us letting someone get builder, them getting builder, and then mining a lot of diamonds or something and getting wrongly banned. I think we should put measures into place to make sure this doesn't happen. For instance, you can't sell anything of high value for one week to 2 weeks after you've had creative(could be a set time or based on how long you're a builder e.g if you've been doing a protect for a month and a half, you really only need one week but if you just made a pixel art statue for a day or something you'll need two weeks--or more). Secondly, there are things the person who had builder can do to make sure they don't get accused or, if they do, to make sure they don't get banned. One of these, and my absolute favorite, is simply to take a screen shot of the diamond before you mine it. Maybe put a sign over it with a different number so we know it's a different picture. Another is to have someone tp to you when you mine the diamond. Or make a server announcement: "OMG Diamonds!! " Masterrobot wrote: One thing I am afraid about is us letting someone get builder, them getting builder, and then mining a lot of diamonds or something and getting wrongly banned. I think we should put measures into place to make sure this doesn't happen. For instance, you can't sell anything of high value for one week to 2 weeks after you've had creative(could be a set time or based on how long you're a builder e.g if you've been doing a protect for a month and a half, you really only need one week but if you just made a pixel art statue for a day or something you'll need two weeks--or more). Secondly, there are things the person who had builder can do to make sure they don't get accused or, if they do, to make sure they don't get banned. One of these, and my absolute favorite, is simply to take a screen shot of the diamond before you mine it. Maybe put a sign over it with a different number so we know it's a different picture. Another is to have someone tp to you when you mine the diamond. Or make a server announcement: "OMG Diamonds!! " I'm confused here... how would that be enforced? We can make provisions that those on creative cannot buy or sell from the Exchange, but I don't know how to coordinate that not only with the Exchange's accounts but also with all the other player shops as well. As far as controversy arising from an influx of diamonds, it might be difficult to enforce a policy of "you assume the risk unless you prove yourself otherwise" ... not because that it would be hard to ban people, you know, but actually ban for it. I'm afraid we would make too many friendly exceptions to the rule. • Those on creative will have to petition approval from the General Congress as well as a consensus from the administration. Applications will have to require specific information (an application that can be designed) and a period of time by which creative would be permitted. After such time, those formerly on creative will be placed on probation where their financial accounts will be monitored by Exchange officials. What I really think we need is an official code of bylaws.